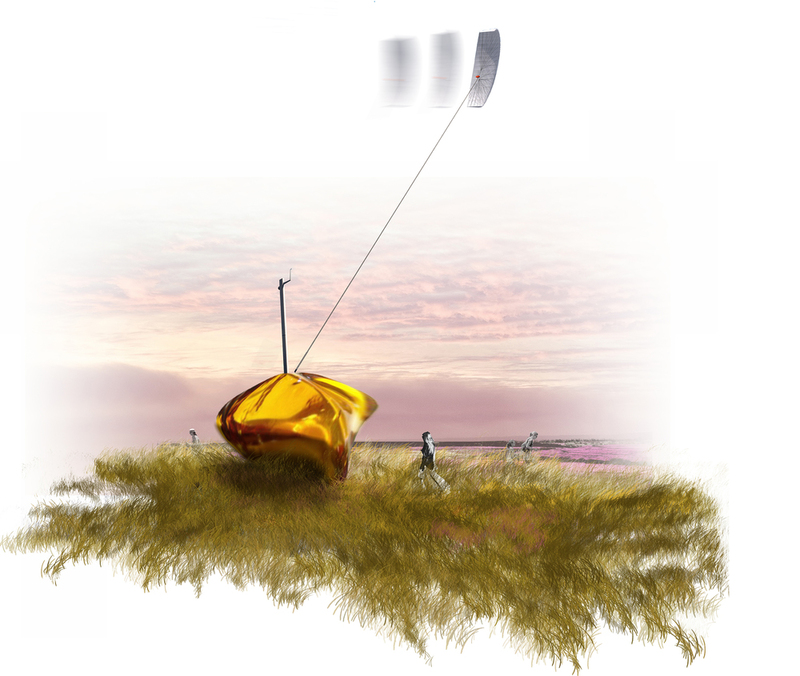 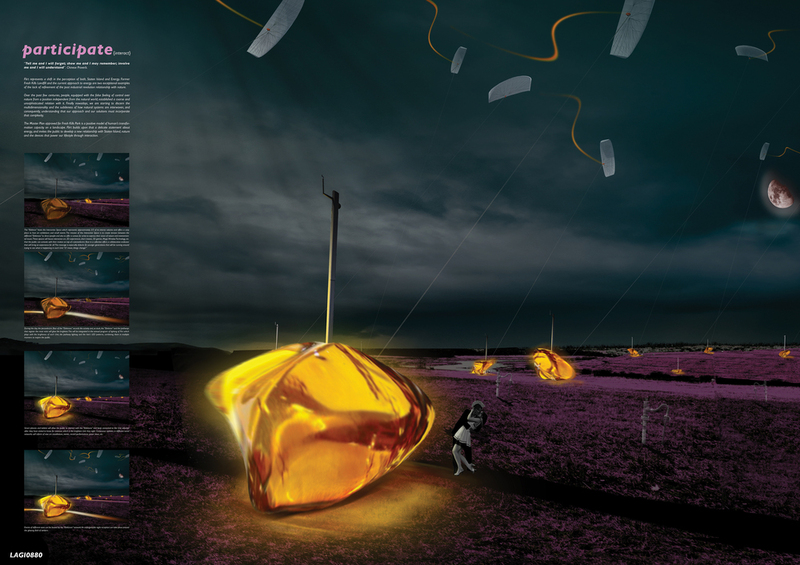 “Flirt” is both, a High Altitude Wind Power Plant (HAWP) and a multidimensional land art installation that draws the attention of Lower Manhattan and Brooklyn with a seductive ballet of kites that entices people to rediscover Staten Island. 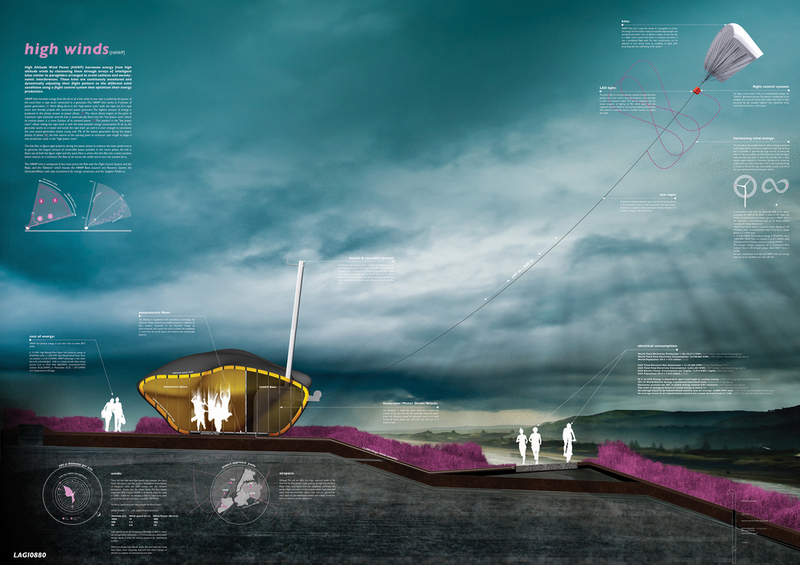 “Flirt” transforms the current bulky infrastructure of energy production into a light, dynamic, and interactive event wrapped in art: a sculptural installation of amber stones nested within the meadows of Fresh Kills Park. 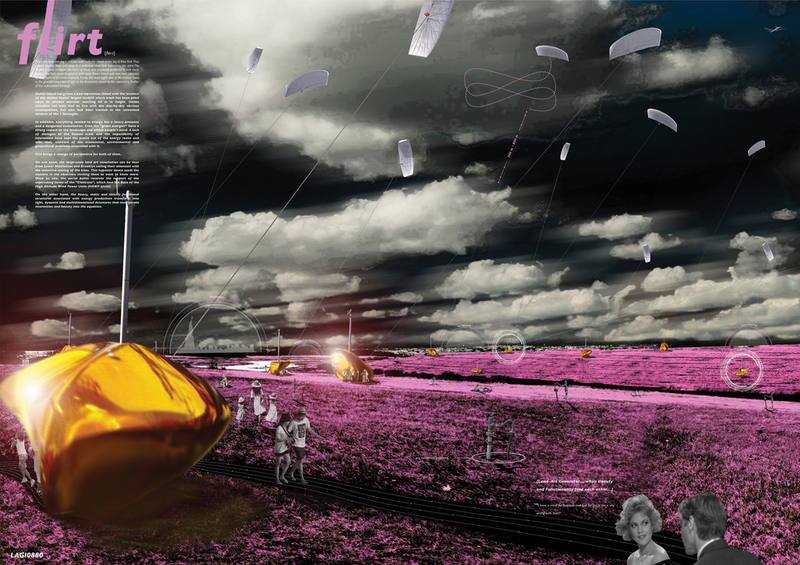 The mounds of the park will host 18 HAWP Units, each with the potential of harvesting 4 -12 GWh/year.